There are many ways to determine if a roofing contractor is worth hiring, but client feedback and testimonials remain one of the best ways to gauge the contractor-to-client experience. Today we will share with you why it is important to take the time to check out a company’s client reviews before hiring them. Client feedback and testimonials draw a more complete picture of a company’s client service. The information listed on a roofing contractor’s website consists of services promised, such as products, services and guarantees. Client feedback is indicative of how the roofer delivered on the said promises. So if both are in sync, you are looking at a possible hire. 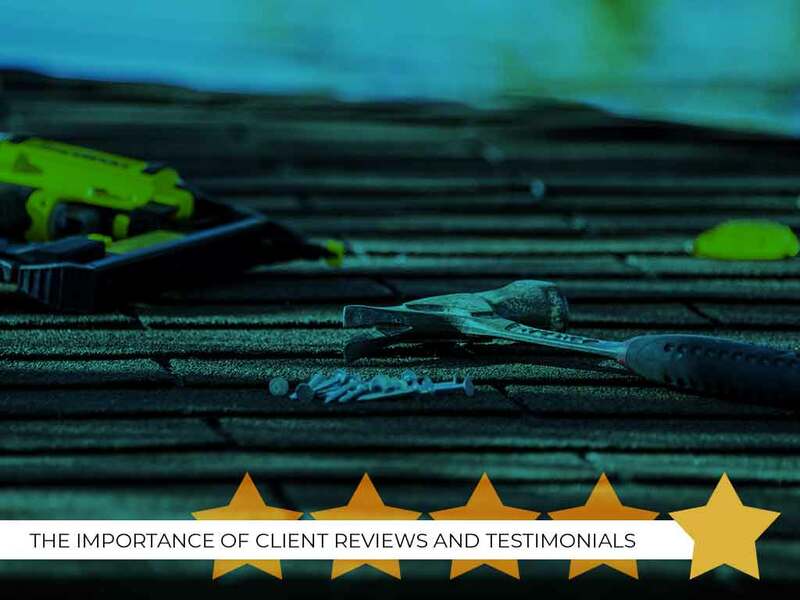 Before you say, “I’m going to hire that roofer near me” just because you’re seeing four- to five-star ratings, make it a point to read the client comments or testimonies to learn about a particular roofer’s strengths and weaknesses. Homeowners will take the time to write an account of their client experience and tell others if it’s worth hiring them. Customer service doesn’t end with the installation. The true test of a roofing contractor’s customer service quality is in how they address after-sales issues like warranty claims and customer complaints. This is why organizations like the Better Business Bureau (BBB) provide a venue for contractors to address client complaints on their websites, as well as factoring in their resolution rates. As a potential client, it gives you an overview of how your own concerns will be addressed. You will want to hire a roofer who treats their clients with respect, and resolves their concerns in a timely manner. We keep a testimonials page here on our own website, which prominently displays comments and testimonials from our past clients. We are happy to receive comments such as “I had been experiencing a lot of issues with another contractor but that never happened with Innovative” and “they were on time, did the work quickly, professionally, and cleaned up so well we didn’t know they had been on our property.” These and many other testimonials are unaltered client comments–proof of our commitment to providing the best customer service possible. If you’re in Knoxville and are asking yourself “where can I find a trustworthy roofing company near me?” look no further than Innovative Roofing and Siding, Inc. Call us today at (865) 444-6070 or fill out our contact form to schedule a free no-obligation quote. We are located in Knoxville and serve nearby communities.